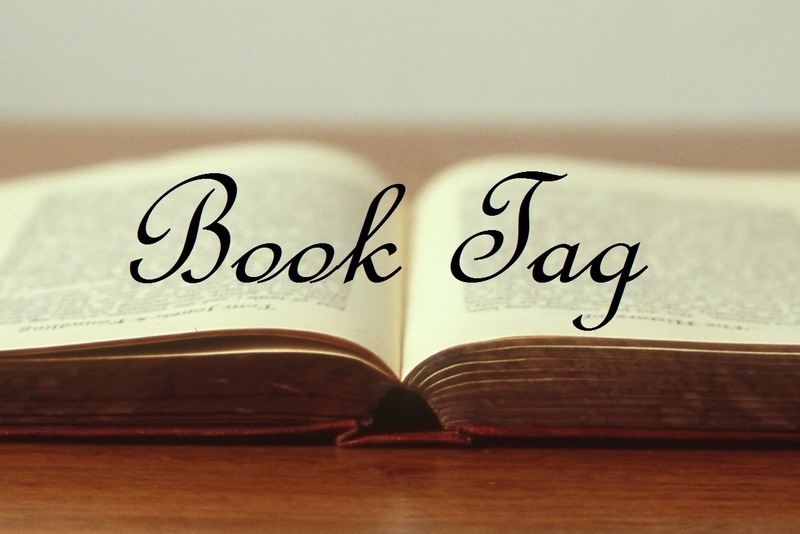 Last week, my good friend Vicki W nominated me for the Book Reading Habits Tag. For her answers to the following list of questions, click here. I can read anywhere but I do find myself reading in bed a lot, right before bedtime. This is a dangerous habit since if I'm really enjoying what I am reading at the time, I might stay awake the whole night reading! 2. Do you use a bookmark or a random piece of paper? Before this year, I rarely needed bookmarks because when I read, I generally have a lot of time in my hands for reading and I can usually finish a book in one or two sittings. However, now that I am working this year and my reading time is a lot more sporadic, I have become very dependent on bookmarks. Generally, I use my Book Depository bookmarks but if I accidentally lose them, which I tend to do a lot, any receipt or piece of paper will do. 3. Can you just stop reading or does it need to be at the end of a chapter or a certain number of pages? At the end of any action would probably be my answer. If that is in the middle of a chapter, than I'll stop there. If a chapter ends in a cliff-hanger, than I must continue reading! Very rarely, especially since the majority of my reading is either done in bed or on the train commuting to and from work. 5. Do you read one book at a time or several at once? Again, before this year, I have almost always read just one book at a time. But now that my reading has become sporadic, I have found myself splitting my attention between multiple books. Big thick novel are usually left at home and ebooks are almost exclusive for reading whilst commuting. 6. Do you read out loud or silently in your head? I don't think I have ever read out loud a novel before! Maybe during English class back in high school but that is probably it. 7. Do you ever read ahead or skip pages? I try to avoid doing that but in particularly bad books that I just want to finish and get it over with, I have been known to skim read. 8. Breaking the spine or keeping it new? 9. Do you write in your books? Only during high school English classes. Otherwise, no. If I really want to note something down, I will use sticky notes instead. I just finished the Night Circus and thoroughly loved it. My next read... still debating at this point in time. Thanks for tagging me! I have to stop reading at the end of a page, that has a period.